It’s game day, so we all know what that means. It’s also time to try and make some money. The betting lines for the lightweight scrap between champion Benson Henderson and Frankie Edgar have remained steady, but the odds for tonight’s co-main event made a significant jump after Melvin Guillard’s (Pictured) issues on the scale during Friday’s weigh-ins. 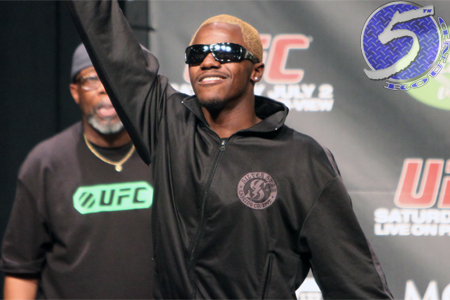 Guillard came in 1.5 pounds heavy, and that has cost “The Young Assassin” dearly with the Gambling Gods. Donald Cerrone went from being a 3-to-1 odds-on favorite to a 3.5-to-1 favorite to beat Guillard. “UFC 150: Henderson vs. Edgar II” takes place tonight inside Pepsi Center in Denver, Colorado.